Bramble Bay Locksmith based in Brisbane specialises in locksmith services such as lockouts, lock changing, restricted keys, supply and fit locks and lock services for commercial properties. 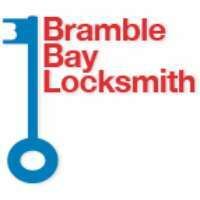 Bramble Bay Locksmiths are, first and foremost, here to help you. We’re your friend, the one you can call any time of day or night, knowing that we’ll be there in a pinch. Our number one priority is to give you simple and affordable peace of mind; whether its being locked out or changing the locks when first moving in, you can trust us to do what is right by you. • As well as a wealth of commercial lock and key services. Contact Bramble Bay Locksmith today for more locksmith service information!